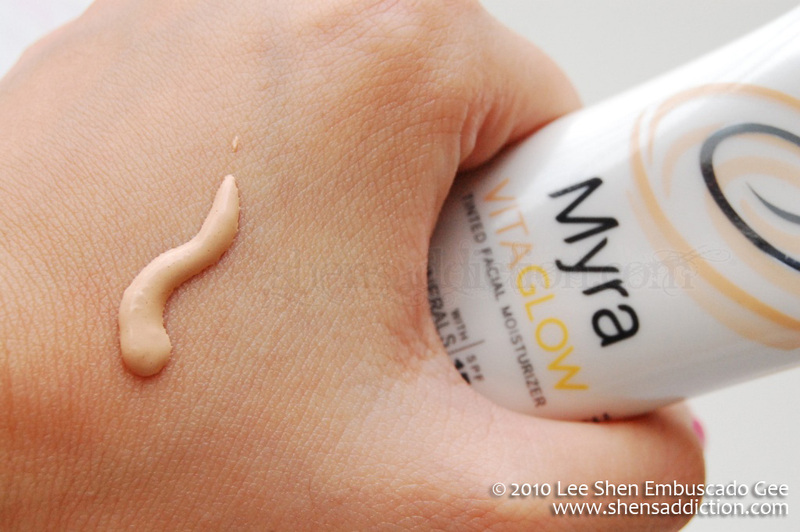 It’s been weeks when I started using Myra VitaGlow Tinted Facial Moisturizer. Because I’m lazy and don’t want to spend a lot of time in front of the mirror lately, this has been my saving grace. Let’s not mention that the BF was happy not to wait too long for me. Lol. My life for the past weeks has been chaotic. Working, driving to and fro Metro Manila, lots of late nights writing and all weekend spent with friends. I really feel so guilty because I made a vow to live a healthy and proper lifestyle. Unfortunately, that hasn’t been the case. I have been thoroughly abusive of my body and my skin that I thought it would take its revenge on me. It was really a surprise that many of my friends noted how good my skin looked. Can you imagine that? I could hardly believe it myself. Because of my hectic schedule, I’ve resorted to put away my usual regimen. What do I use instead? 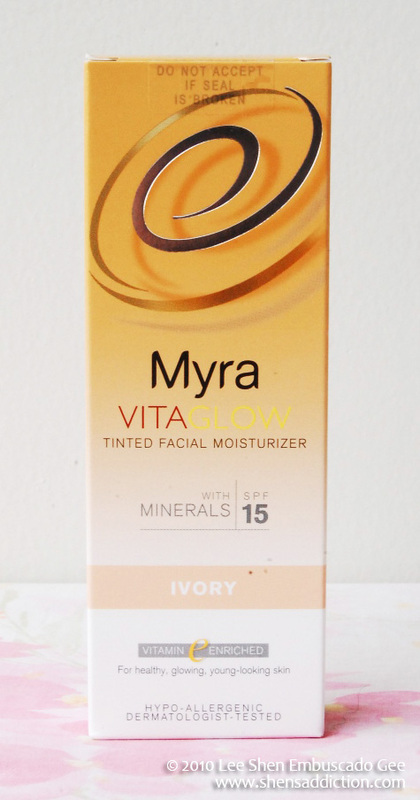 The Myra VitaGlow Tinted Facial Moisturizer. The time I save using this product was such a blessing because almost every minute counts in the morning. And yet, I can’t go out not looking good. 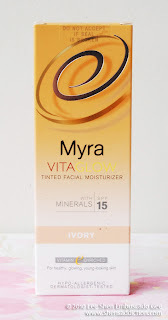 With Myra VitaGlow Tinted Facial Moisturizer, I get the benefits of a moisturizer, a hint of color, sunscreen with UVA and UVB protection, a dewy glow, and best of all, it’s enriched with Vitamin E.
After more than a week of using Myra VitaGlow, my skin is a lot softer and smoother. I noticed this after cleansing my face during the evenings. It was like my skin just had a refreshing glass of water… I was really amazed with the results. I’m also happy to share that for more than two weeks of using this, I have not experienced any breakouts. The shimmers from the minerals in Myra VitaGlow don’t bother me as well. 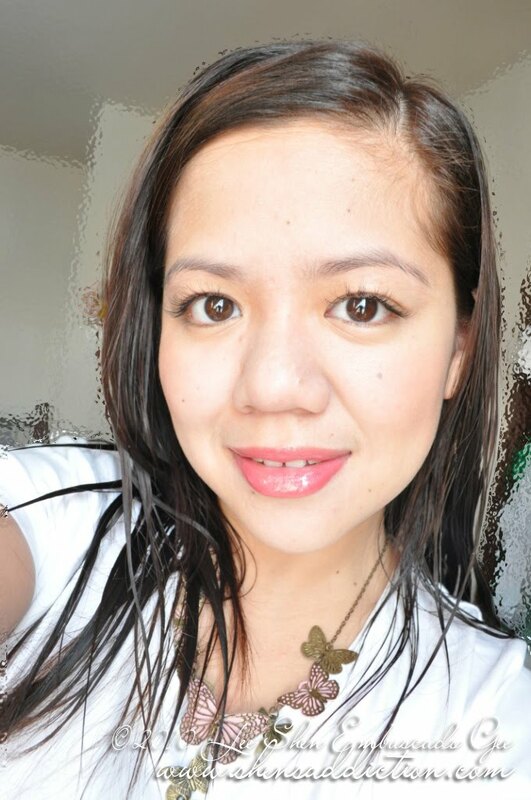 It even helps in making my skin look dewy instead of the usual oily look. I guess since my face is well moisturized, oil production isn’t acting up so bad. I can’t believe I’m saying this since I never really was the kind of girl who uses tinted facial moisturizer…. That all changed with Myra VitaGlow. Not only is it affordable (P135 only!) and easily accessible to me but it also delivers what it promises. See, I told you it was easy look young and achieve that healthy skin. All we really need to do is find that perfect product for our skin. Glad I found mine with Myra VitaGlow. i love this Tm too! hi shen. can you tell us where can we buy this? we've searched major dept stores, we cant seem to find this product? is this product already phased out? thanks!